What is the meaning of Retrograde planets, Impacts as per astrology and guidance for better life. In astrology whenever we make horoscope then we can find some planets are retrograde. Astrology lovers have keen interest to know the impacts of Vakri planets on life.But there are difference of opinion on the impacts of Retrograde planets. Different astrologers provide different prediction after studying the Vakri Planets. What is The Meaning Of Retrograde Planet? Generally every planets moves ahead means first enter in Aries then in Taurus and then in Gemini and so on but when any grah start moving backward then this movement is called RETROGRADE movement and planet is called retrograde or vakri. We have often listen that shani has become vakri, budh became vakri etc. So retrograde planet means planet is moving backward. Rahu and ketu always move in backward direction and so always remain VAKRI. Which Planets Never Become Retrograde? Sun and Moon Never become vakri in horoscope. Some astrologers think that Vakri planets always give negative impacts. Some jyotish think that when good planets become retrograde then give bad impacts and when malefic planets become vakri then give good impacts. 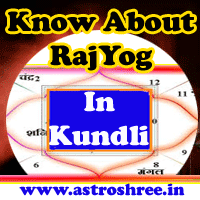 Some kundli reader believe that different planets give different impacts on life when become vakri. These Planets always give bad impacts is not a good thinking, so avoid this. Only saturn is a planet which if become vakri then give bad impacts. Other positive planets except shani if become retrograde then generate positive impacts. In vedic astrology the impacts of planets depends upon with which zodiac it is present. So only by changing the direction of movement doesn't changes the results totally. If vakri planet is affecting the happiness place then may disturb the personal life. If malefic retrograde planet is sitting in health place then may generate health issues. If study place is affected by these planets then studies may suffer. If marriage house in horoscope is affected by vakri planet then it may responsible for delay in marriage or disturbed marriage life. If you are also worrying about malefic Retrograde planets in your horoscope then not to worry, contact experienced astrologer and get solutions. What is the meaning of Retrograde planets, Impact of retrograde planets as per astrology.